I first talked with Hummel after his junior season at Purdue, when he was recovering from the late-season knee injury suffered at Minnesota. We had plenty to talk about from that alone. Little did we know there would be so much more to discuss. 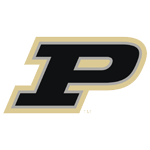 Hummel was perhaps the least-heralded of the four recruits who turned around Purdue’s basketball program. E’Twaun Moore, JaJuan Johnson and Scott Martin all seemed to be rated higher or thought to have more potential. Hummel, though, made an immediate impact as a freshman because of his mature game and shot-making ability. Matt Painter once told me he used to consult Hummel on elements of the offense to get his opinion. This conversation, recorded in a suite at Ross-Ade Stadium, gave a great introduction to his life and career, but there was so much more to come.